I got to realize that most people asked this same question of how they can start their own very business without the need for start-up capital last year but most were doomed because they didn’t get the right answer to their question.Here comes another year 2013 and I got to understand that people are still asking this same question but thank your luck for being here to day to discover businesses you can do in 2013 that requires no start-up capital as I’ve tried my very best to culled out some wonderful ones you can select from to start right away so as to be financially independent towards being wealthy. SALES AGENTING: This is a very easy one.If you are good in sales, make yourself employable by offering to become a sales agents to organization based on commission. In this case you break the barrier between the retailers and manufacturers by dealing with the retailers directly in this case, you serve as a link between the manufacturer and the retailer, they buy goods cheaper from you and you will also become one of the company’s top sales man/wholesaler. If you are impressive, the organization may employ you or could become one of their top suppliers. MARKETING:In this case you could become a marketer to an organization by marketing their services, get clients and you get paid depending on the number of clients you bring as disussed with the management. SOCIAL MEDIA EXECUTING: This involves little experience in social media and engaging people online, on social media platforms like facebook, twitter, google + and so on If you have a good online presence like a lot of friends on facebook, lots of followers on twitter etc you could help people manage their pages on facebook or use your facebook and twitter to advertise for people, to do this, you need a good understanding of the social media. ARTICLE WRITING: If you are skilled In writing articles, stories, Inspirational words/ quotes, poems etc you can convert your writing skills into money making skill, by writing for bloggers, websites, magazines, newspapers etc. you can start this as a freelancer on freelancer.com or just find your way to fiverr.com and master it. JACK OF ALL TRADING (HUSTLING): This kind of job can make you rich fast and it can also land you in jail, what it means is you are virtually into anything or everything that comes your way be it photography, tailoring, mechanics, web design, sales agent, engineer etc because you know someone that can get it done, you get your commission from them. WEB DESIGNING: As simple as it sounds,it involves a good skill to be able to design websites,create blogs and so on but I’m glad to tell you that it is easy to learn if you search the internet or just get a tutor to train you.Even if you do not have money to pay for trainning fee,just try to look for some clients for the website designer that you want him/her to train you while you bargain base on your commission to get you trained but you have to be smart in your dealings with him/her. HAIR DRESSING : If you have idea in hair dressing, making of hair or hair styling, you can grow to become a multi-million naira beauty shop without start up capitals, All you need is the skills, Start with people around you, your friends, neighbour etc offer home services (people love comfort) and before you know it, If you are REALLY REALLY good, your clients will be booking one week before hand just to have you give them that smashing look. PHOTOGRAPHY: Though it seems and looks easy but there are skills attached to taking pictures. COMEDY and so many other ones to mention but a few. See you there to be financially independent and wealthy this year 2013 and beyond as you use your intellectual to select any of the above listed businesses. SHOULD IN CASE YOU NEED MORE ENLIGHTENMENT ON ANY OF THESE BUSINESSES,FEEL FREE TO ASK ME BY ADDING YOUR COMMENT BELOW. 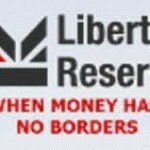 Discover "HOW TO MAKE MONEY ONLINE EASILY"
"Tips On How To Make Money Strictly by Buying & Selling Liberty Reserve Only"
I would help People Buy and Sell Offline with a Charge from both seller and buyer. I am presently earning as a sales Agent and trust me, Its the best Job i can avail myself for now. The Capital investment was around N20k from the beginning and profit didnt come up high until like 6Months After. Sorry that I’m getting this late. There are lots of stores online where you can get phones,pcs and tabs from in USA.Being in Nigeria,you will to get for yourself a USA address where your goods will be shipped to initially before being forwarded to you here in Nigeria because most stores in USA don’t ship to Nigeria.Just put your search through google.com. I will as well advise you to checkout sites like dhgate.com,aliexpress.com,madeinchina.com and so many other one where you can even get free shipping to Nigeria. Do not hesistate to ask more question(s) should you have to and thanks for checking in.